My name is Bill Thackrey. I'm a lifetime NRA member who has recently migrated from the sunny, but politically repressed climes of Southern California to the free state of Louisiana. I'm living in the Marigny in NOLA. 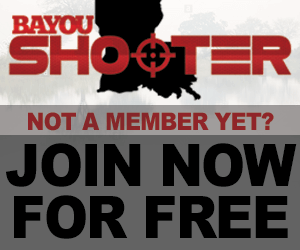 I've been fairly active in the California gun community and am looking to explore the Louisiana (and specifically NOLA) community. I'm an avid handgun shooter, having most recently completed "250 Handgun" training at Gunsite with a rating of "Marksman". I also do a bit of long range rifle with two different bolt guns in .338 Lapua Magnum. The longest range I've had access to in California has been 1200 yards. I can pretty consistently ping steel at 1200 with 338LM. Desert Tech SRS A1 Covert in .338LM / .308 (multiple caliber kits), Schmidt & Bender glass. I'm interested in meeting folks who are shooting long range steel near NOLA and well as people shooting handgun or 3-gun completion here. Last edited by Wethackrey; November 8th, 2018 at 05:14 AM. now that you’ve told everyone what you own and where you live, you might want to consider a new address. Last edited by beauxdog; November 8th, 2018 at 04:26 AM. Welcome glad to have you with us. looking at your list go guns. I figured that I have to start buying more guns.